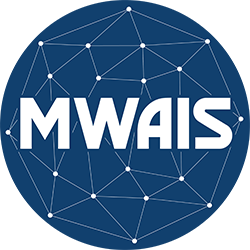 MWAIS 2019 seeks to expand the information frontiers of IS and we invite submissions reflecting a plurality of perspectives on the discipline. The conference theme will be “Inclusiveness in the IT Talent Management Pipeline”. We especially welcome submissions relevant to this theme. While academics from around the world are invited to attend, we hope many academics from the Midwest states will submit papers. The Midwest United States Association for Information Systems (MWAIS) is a chapter of the Association for Information Systems (AIS) serving Midwest US members of AIS. The states served by this Chapter include Illinois, Indiana, Iowa, Kansas, Michigan, Minnesota, Missouri, Nebraska, North Dakota, Ohio, Oklahoma, South Dakota, and Wisconsin. The conference will include several presentation sessions workshops, invited keynote speakers, panel sessions, doctoral and undergraduate student sessions. There will be speakers from academia and industry from across the Midwest region and beyond. Proceedings: Conference proceedings will be available through the Association for Information Systems Electronic Library (AISeL). At least one author of each accepted paper must register for the conference no later than April 22, 2019, for the paper to be included in the conference proceedings. Best paper awards: The top three conference papers will be awarded best paper awards sponsored by the Midwest Association for Information Systems. Authors of these papers who choose to submit their papers to the JMWAIS will be awarded a monetary prize ($300, $200, and $100 respectively) and these papers will undergo an expedited review process by the journal. Papers, tutorials, and panels on any theme appropriate to MWAIS are invited, but special welcome is extended this year to submissions that are related to the Inclusiveness in the IT Talent Management Pipeline. Submissions: Submissions may be in the form of one or more of the following: completed research papers, research-in-progress papers, industry case studies, or proposals for panel discussions or tutorials. Submitted papers and proposals will undergo a double-blind review process by at least two reviewers. To facilitate the blind review, include the title of the paper, names, affiliations, mailing addresses, e-mail addresses, and phone numbers of all authors on a cover page submitted as a separate document from the body of the manuscript. If one or more of the co-authors are students, please clearly indicate so. Include only the title of the paper at the beginning of the manuscript. In the case of multiple-authorship, designate the corresponding author with a footnote on the cover page. Please do not include any author or affiliation identification on any page (except the separate cover page), in headings/footers, or in the properties of the submitted file. Previously published work or work under review elsewhere is not eligible for submission. All submissions should be posted electronically in either MS Word or PDF. Submissions should be posted electronically in MS Word or PDF at EasyChair.org https://easychair.org/conferences/?conf=mwais2019 no later than February 24th for Full-length papers, Research-in-Progress, Panels, Workshops, and Tutorial Proposals. Research-in-Progress: You may submit research-in-progress proposals (abstracts) or a summary of tentative results of the study to date 500 – 1000 words. Authors of accepted proposals are asked to forward a 1500-2000-word paper with a maximum of 2 figures/tables for inclusion in the conference proceedings. Panel, Workshop, and Tutorial Submissions: Individuals interested in conducting a panel, workshop, or tutorial dealing with technological, managerial, professional, teaching, societal, national or international issues of information technology management are invited to submit a 500-1000-word proposal covering the objectives, issues to be covered, and the names/addresses of any other panel, workshop, or tutorial members. The method of presentation is at the submitter’s discretion.